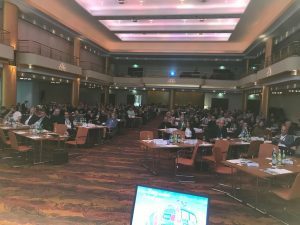 Members of German live event promoters BDV and VDKD voted unanimously this week to ratify their agreement to merge organizations, forming the Bundesverband der Konzert- und Veranstaltungswirtschaft (BDKV). The newly formed association will be lead by co-presidents, BDV’s Jens Michow and VDKD’s Pascal Funke. The former will also take on managing director duties for BDKV in Hamburg. Membership of BDKV will include 500 live agencies and organizers. Germany’s event industry generates annual sales of roughly €5 billion with 113.5 million tickets sold. On October 29 in Hamburg under notarial certification, the members of the ‘Bundesverband der Veranstaltungswirtschaft e.V.‘ (bdv) (Federal Association of the Event Industry) and of the ‘Verband der Deutschen Konzertdirektionen e.V.‘ (VDKD) (Association of Concert Management), in separate meetings, unanimously approved the merger agreement already concluded in August by its Presidents, Prof. Jens Michow (bdv) and Pascal Funke (VDKD). 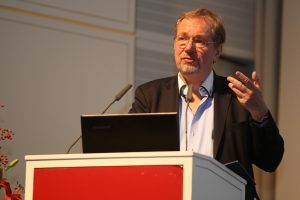 After a long period of preparation, they thus cleared the merger procedure’s final hurdle and gave the go-ahead for the ‘Bundesverband der Konzert- und Veranstaltungswirtschaft (BDKV)’ to represent the interests of both associations’ approximately 500 members and from January 1, 2019, the interests of the German event industry will only be represented by a single professional association. Michow and Funke as Presidents will form the future association’s double leadership until 2021. The previous managing president of the bdv, Prof. Jens Michow, will take over the management of the BDKV. The separately held general meetings were followed on the afternoon of October 29 by the first joint meeting of the two associations. 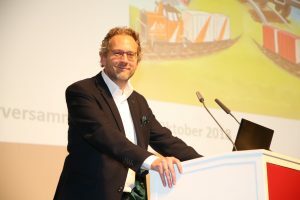 The future Managing Director and his future presidential partner, Pascal Funke, showed a film presenting the association’s agenda for 2019-2021. The first formalities of the association included the adoption of the budget for the first BDKV year. Until 2021, legally advising the members will be the responsibility of two legal advisors: Prof. Dr.Johannes Kreile, former managing legal advisor of the VDKD, and Dr. Johannes Ulbricht, former legal advisor of the bdv. 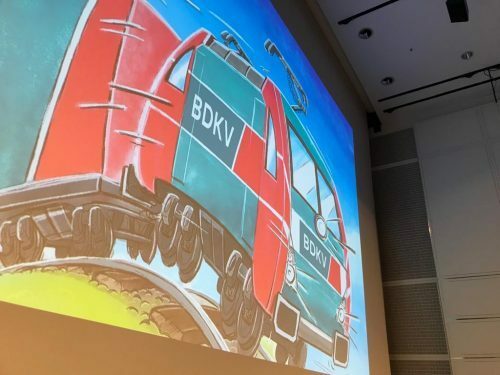 To ensure the seamless integration of expertise of both associations into the BDKV, the merger agreement stipulates that the current Members of the Executive Board will together form the Executive Board of the BDKV until 2021. Christian Doll (bdv), Elisabeth Ehlers (VDKD), Christian Gerlach (VDKD), Michael Hermann (VDKD), Daniel Rothammer (bdv), Ulrike Schirrmacher (bdv), Sonia Simmenauer (VDKD), Stephan Thanscheidt (bdv), Michaela Russ (VDKD) and Klaus Wollny (bdv). The focus of the first joint event, hosted by NDR presenter Jan Hendrik Becker, was on getting to know each other. Among the highlights of the afternoon were a panel discussion with Dr. Carsten Brosda, Senator of the Hamburg Department of Culture and Media, and a lecture by the popular trend researcher Matthias Horx entitled “Culture in the course of time”. 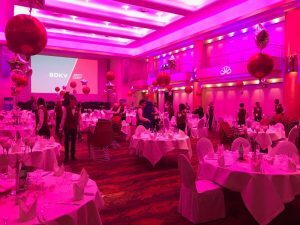 At the end of the day, more than 220 participants met for a gala buffet, which began with the traditional VDKD Music Prize being awarded to the young trumpeter Simon Höfele to great applause. The members of the “Federal Association of the Concert and Event Industry” will include around 500 agencies, concert organizers and concert tour organizers. With 113.5 million tickets sold each year, the event industry generates a total turnover of around five billion euros.